Download a PDF of the original article here. Stories to Make Mountains Start Breathing by Judith RidgeWhen Popeye Bobby walks in, everybody stands back. He’s real gentle this old fulla, but no one messes with him, neither. He’s real powerful… He can tell you stories that make mountains start breathing. In 1998, at the height of a popular movement for social, political, and spiritual reconciliation between Indigenous and non-Indigenous Australians, a remarkable book was published. Maybe Tomorrow is a memoir, written by Boori Monty Pryor, an Aboriginal Australian who hails from the Kunggandji and Birra-gubba nations of far north Queensland, and his partner Meme McDonald — a migaloo jalbu, or “white woman,” in Boori’s peoples’ language. Maybe Tomorrow tells of Boori’s life as an Aboriginal man living between two cultures; his work as a storyteller and performer in schools, prisons, and libraries; his family and the many tragedies they have faced. 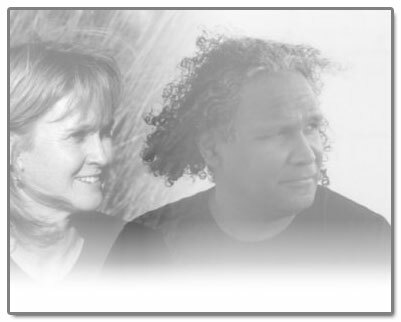 The memoir’s perspective on the often-difficult relationship between Aboriginal and non-Aboriginal Australia is particularly noteworthy because it is told with dignity, humor, optimism, and a total lack of bitterness or anger. It’s a book I believe every Australian ought to read. Maybe Tomorrow also signaled the beginning of an unusual creative collaboration. Meme and Boori have since co-authored four novels for children and teenagers. My Girragundji, The Binna Binna Man, and Njunjul the Sun are narrated by a young Aboriginal boy who ages from about twelve to young adulthood over the course of the novels. They tell the story of a boy caught between two worlds — the old ways of his Aboriginal culture and the contemporary migaloo (white) world. The fourth novel, Flytrap, is based on a real event in the life of Meme’s daughter Grace. All four novels are illustrated with photographs taken by Meme, using members of Boori’s family to represent characters in the stories. In My Girragundji, the boy is frightened at home by a bad spirit, a Hairyman, and by his parents’ unpredictable moods. At school he’s picked on by bullies for being Aboriginal, and in turn he bullies his sisters. One night, terrified that the Hairyman is coming for him, he begs his ancestors for help, and a green tree frog — a girragundji — lands on him. The frog becomes more than a pet to the boy — she’s a talisman, a protector, sent by the ancestors, and she brings the boy an understanding of his own inner strength, even after her untimely death. The Binna Binna Man (another name for the Hairyman) takes the boy on a darker journey as he and his family travel north for the funeral of his cousin, who, the book implies, has committed suicide. It’s a story that has particular, poignant resonance for anyone who has read Maybe Tomorrow. Similar to the losses suffered in many Aboriginal families, Boori has lost two brothers and a sister to suicide and a young nephew in a police car chase. (Their photographs appear on the cover of Maybe Tomorrow, forming a sort of sunburst around Boori’s head.) The high rate of Aboriginal suicide — more than twice the national average — is just one of the many tragic results of a sorry history of the treatment of Indigenous Australians: physical and cultural displacement, institutionalized racism, and out-and-out attempts at genocide. The Binna Binna Man also addresses, with great understanding and care, the problem of alcohol abuse among some sections of the Indigenous community. Njunjul the Sun sees our young narrator in his later teens, sad and angry and getting into trouble. Like many young Aboriginal men, he doesn’t know where his place is in either the Aboriginal or the migaloo world — so he heads down from the bush to the “big smoke” (the city) to stay with his Aunty and Uncle to sort himself out. There, he starts accompanying his Uncle Garth, a storyteller and performer, on school visits, and begins to find his way as an Aboriginal man. It’s evident that the stories are drawn from Boori’s life and family and culture; but he emphasizes that the stories aren’t about him: “I’m part of the story, I’m not the whole story.” But the stories do belong to his people and his culture, and it’s this essential fact that makes the collaborative process of writing and editing these books so different from the usual migaloo way of doing things. Meme had published books prior to meeting Boori and writing Maybe Tomorrow with him, whereas Boori’s great skill is in oral storytelling. (The Australian Aboriginal oral tradition is a powerful and ancient one, and maintaining its integrity is extremely important to Aboriginal people. Story is also in an intrinsic part of law and spirituality in Aboriginal culture: some stories can be told only at certain times of year, for example, or as part of Ceremony.) It would be a mistake, though, to assume that Meme is merely the scribe for Boori’s stories, or that Boori does none of the writing. Their two sets of skills and their two different cultures come together to create something that’s more than either of them separately. Land, or “Country,” is crucial to the identity of Aboriginal people — it’s the source of their spiritual and cultural identity, and Aboriginal people have lived in a physically and culturally symbiotic relationship with Country for millennia. As the British spread across the continent, Aboriginal people everywhere were driven off Country, often into church-run missions where they were not permitted to speak their own language or to perform Ceremony. It’s a dispossession that has had devastating ramifications for Aboriginal people down to the present day. When you’re writing something like My Girragundji, the spirituality of that book is neither Aboriginal nor of any culture. It is of a connection with Land and with the creatures that you share the planet with — a common spirituality to almost every particular form of worship. And if that wasn’t there the books would be pleasant stories, but I don’t think they would have the impact that they do. Aboriginal culture is also very strong on, as Meme puts it, “protocol, permission, and respect.” And so, long before their books go to the publisher, Meme and Boori take the stories back to Boori’s family, sharing the stories with the elders, who become in effect the books’ first editors. It’s a process that has opened up possibilities for their stories and for themselves as writers in ways they never dreamed possible. Because as a writer in my culture, you come from a belief that you have the right to write whatever you bloody well want. So I wondered how this was going to work. But the beauty of this culture is that, if you’re still in a continuum with your family and your ancestors, then the importance of going back to the elders as the first editors is because of what they’re going to add, not what they’re going to take away… In fact, it’s going to make it, as an art form, more powerful, because it actually connects into a community. Up north, the elder to whom Boori and Meme take their stories is Boori’s Aunty Val. It’s not a case of sitting down with the manuscript and blue pencil — this first editing process mostly happens in accordance with the Aboriginal oral tradition and in the Aboriginal way of letting things “unfold.” Meme and Boori will mostly talk about the stories with the elders, occasionally reading sections, but mostly just talking it through. And as time goes on, responses emerge. The practical outcome in this instance was finding, with Aunty Val’s help, the way to end The Binna Binna Man. Grace was so fascinated . . . It’s got a sad ending, and most kids have sad endings with their pets. That’s what started to make me think, How could you write a story about a pet that gets eaten by a snake, and yet have that as an elevating story? So, it started to come out more because of its story potential than because we’re writing an Aboriginal boy’s story — it was a good story, and we had proof of it. Nancy explains that this part of the story is only for boys to hear. Gee couldn’t tell her what it was that the Creator did to make his brother’s yam sour. Some boys up the back of the class smother a giggle, as if they already know. That culture’s like medicine. It can heal you. It can heal all these other fullas living here now, not knowing where they belong. For healing, we need whitefullas to hear about our culture. We need whitefullas to heal first so that we can heal. We gotta keep these stories going if we gonna keep ourselves alive. Beautifully written ….looking forward to Boori’s next visit to the schools here in the West…a story teller like no other !